13" Long. 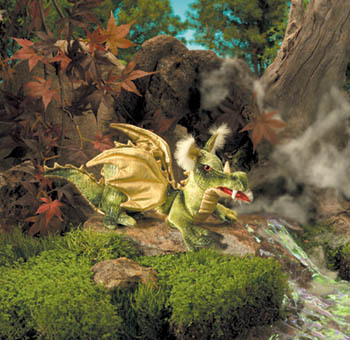 Straight out of our best fairytale imaginings lies this golden-winged Green Dragon finger puppet. But Knights and fair maidens beware! No sluggish beast, this, for he has many options for animation, including mouth, front legs, tail and wings.